You will be able to view your code(s) in your email after your order is processed. 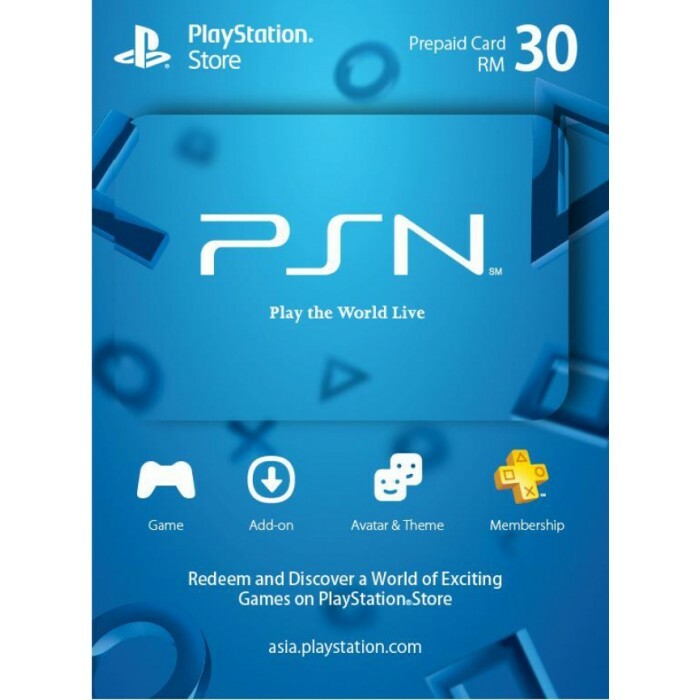 Product highlights:PlayStation Network RM100 includes RM100 prepaid value.Use PlayStation Network to.. Product highlight:Free hit games on your PS4, PS3, and PS Vita systems, with new free games added ev.. Product HighlightsPlayStation 4 is the best place to play with dynamic,connected gaming, powerful gr.. Product HighlightsSpectacular graphics - Explore vivid game worlds with rich visuals heightened by P.. Product HighlightsDoes not include manuals, Installation CDs, box, physical card or other physical e..